Home #IndieDev Chicken Hero – An unique retro inspired Roguelike RPG! Chicken Hero – An unique retro inspired Roguelike RPG! Chicken Hero is an RPG-Roguelike crossover with a retro pixel art aesthetic. 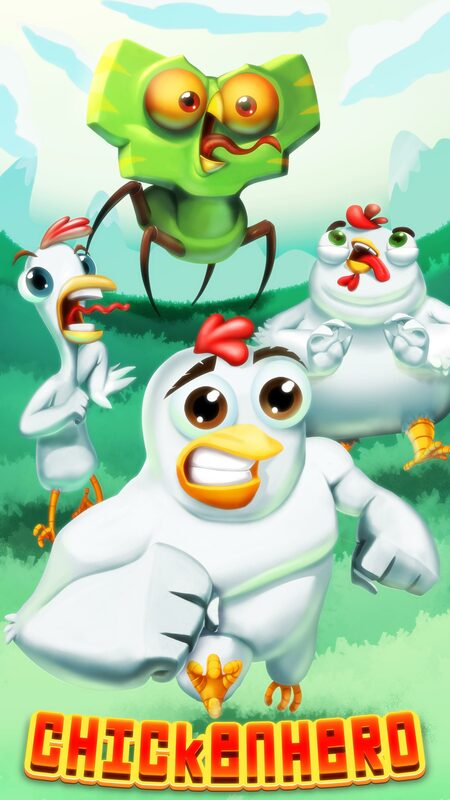 In Chicken Hero, you train your chicken and fight against monsters. 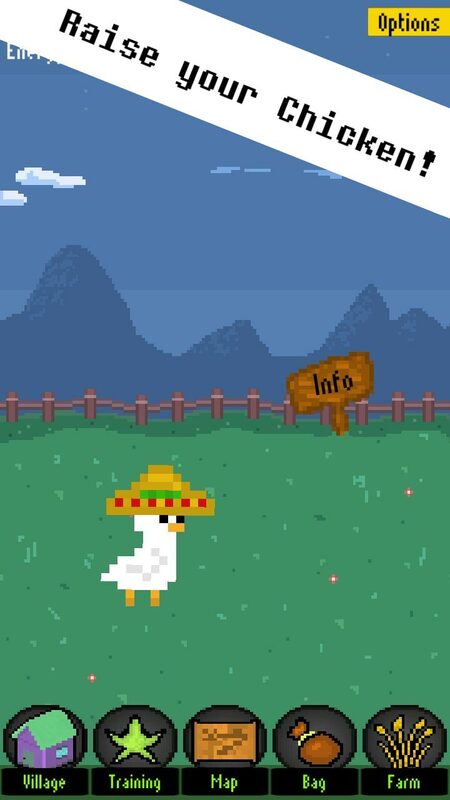 There are numerous ways in which your chicken can evolve and thanks to the roguelike mechanics you can always reset your chicken and use the gained points to buy permanent upgrades and try out all the different evolutions. Your goal is to raise the strongest possible chicken and prove to everyone that a chicken can become way stronger than any monster with the help of hard training! 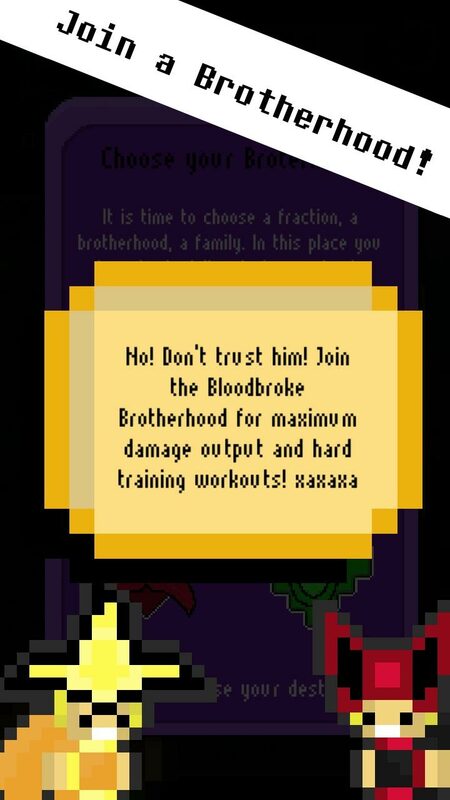 There are also equipable hats, companions that provide various perks, runes that boost your stats, joinable brotherhoods, chicks you can foster and send onto adventures and much more! The game is updated regularly with new features and improvements! Raise your chicken’s stats by training it in strength, vitality, and speed. When you think that your chicken is strong enough you can fight against various enemies. Money is gained by defeating stronger enemies or you can send your companion on an exploration to bring you money, as well as valuable materials. 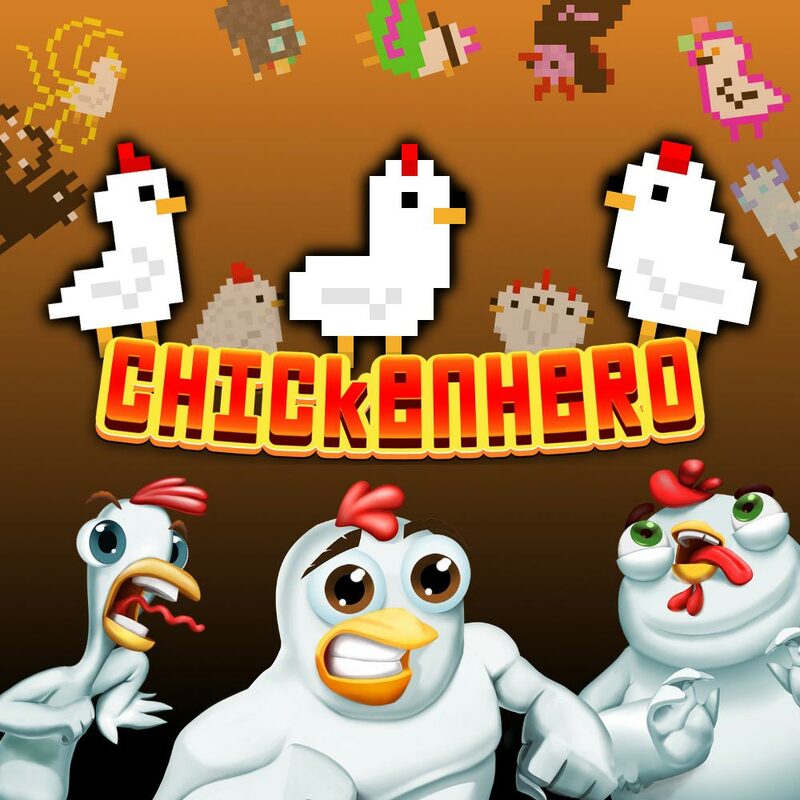 The core aspect of the gameplay in Chicken Hero is raising your player’s stats in the pursuit of defeating stronger and stronger enemies and ultimately creating the strongest chicken possible(! ), as well as the many minigames that allow for a diverse and unique game experience. You can use the materials mentioned above to: craft new equipment, buy companions (each with their own skills), or make an evolution crystal – which can be used to evolve your chicken into one of the nine possible forms depending on your training and the egg you chose, each with their own unique skills and properties. You can also reset your chicken and use the gained points to buy permanent upgrades, like more training strength gain, shop discounts and more! There are also many minigames and challenges you can take on, like joining a brotherhood and taking on their quests, raising chicks that can be sent on adventures, and more small games you can play with your chicken! Rocket Raccoons is a German indie game development studio currently consisting of a full-time programmer (Kevin Gems) and a full-time composer and sound designer (Tim Reichert). Follow Rocket Raccoons on Twitter for insight on future releases! This article was Published by Edamame Reviews, Written by Rocket Raccoons.